.Problemsolver Hanzo hangboard, with a 4mm cord for mounting. This is our small, ultralight hangboard with a flip function. Click here to read more about the board. If you want to add difficulty, get our 3 mm and 5 mm inserts. The Hanzo board is designed to be a lightweight, bring-it-wherever-kind of board, so it´s not meant for heavy loads (+120kg). If you want to do weighted dead hangs, use our PS Training hangboard instead. 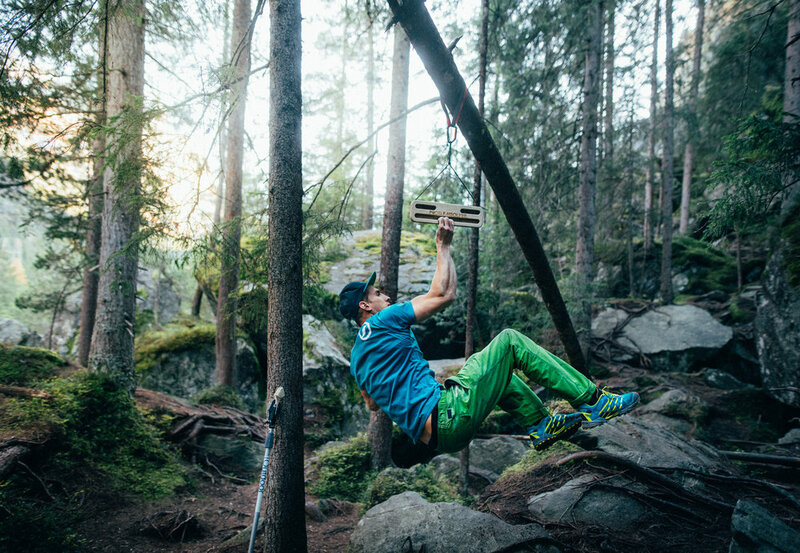 When you´re hanging on the top of the board, be firm in your wrist, otherwise the board might flip over.